Rob Griswell-Lowry and eight singers preview the concert. Music can bind us together at a time in history when we can easily find reasons to disagree. 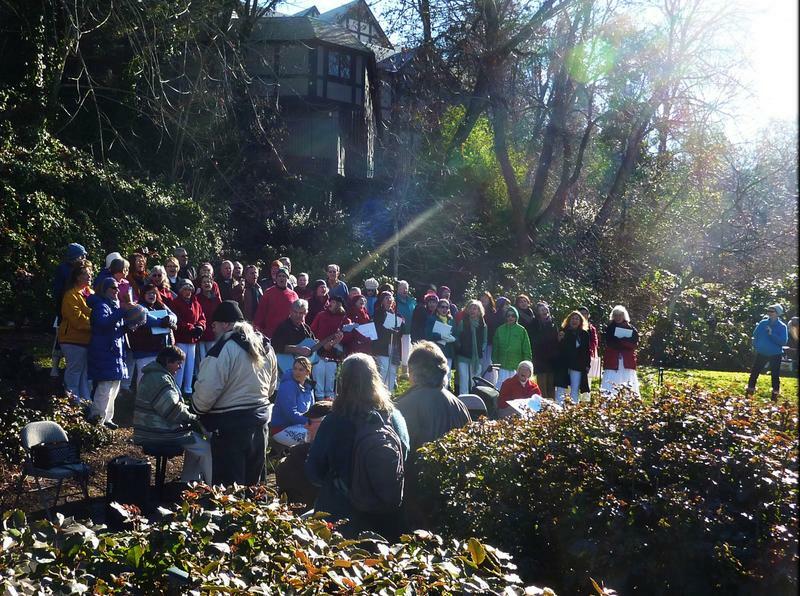 Peace choirs sing to enhance the sense of shared humanity. The Rogue Valley Peace Choir is the host organization for a joint concert of peace choirs from both sides of the state line, coming up February 11. RV Peace Choir director Rob Griswell-Lowry visits with a small flock of singers, to demonstrate the offerings. Donald Mrozek/Donny Roze talks and plays music. It's not generally considered a medical device, but the guitar does have some healing properties. At least that's how it's used by Rogue Valley musician Donny Roze. 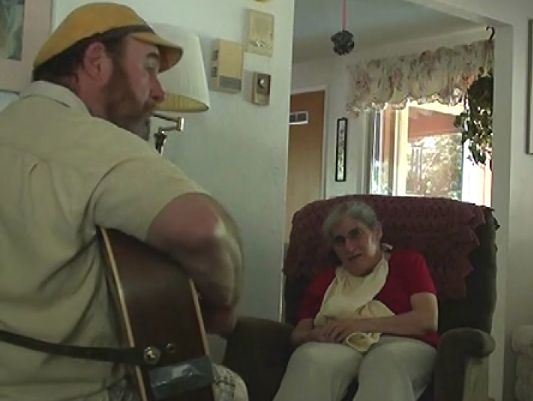 As the founder and executive director of Heart and Hope Music, he and his guitar go where they are needed to bring a little cheer... to adult foster care homes and assisted living facilities and other places where aging people congregate. And they don't just listen; they sing and play instruments, too. More such sessions will be possible with recent grants from the Oregon Community Foundation and other organizations.